Leverkusen - Both Bayer 04 Leverkusen and Borussia Dortmund admitted to being satisfied with a point following Saturday's 0-0 draw at the BayArena. Nuri Sahin: "Leverkusen are a very good team who are also in the Champions League, so we can be very happy with the point. We did well today not to concede, but if we’d managed to score we could have ended up with all three points today." 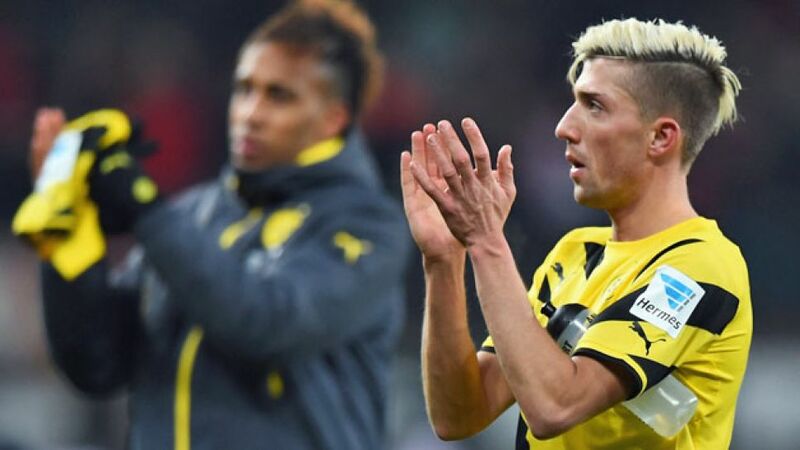 Kevin Kampl: "I thought we coped well. We know it’s difficult to play here, so I don’t think anybody’s too surprised with the outcome of the match. We pressed them very well today and I think it’s a good start and on Wednesday I’m sure we’ll be able to create a little bit more than we did today. The important thing at the moment is picking up points, so I think it’s a good result after our good mid-season. It’s only one point, but on Wednesday we’ve got our next chance to get three points." Matthias Ginter: "Our big aim was to win in Leverkusen. That wasn't the case, but at least we got a point, which will suffice. It was a tense game for long parts and so the 0-0 is fine. We've got to keep working hard and be a bit more decisive in front of goal, but it's a defensive display which we can build on." Stefan Kießling: "Playing behind [Josip] Drmic wasn’t a problem for me. We weren’t able to create that many chances, although we kept the ball very well. But it was our first game back, so we can’t be too unhappy. Dortmund played a lot of long balls and didn’t create that much either, but we have to be prepared for that in future because one long ball can result in a goal." Hakan Calhanoglu: "Obviously, our aim is to win every game and today was no different, but Dortmund wanted the same and they made it very difficult for us. It was only the first match of the year, and considering we have plenty of games left, we're happy enough with the 0-0. I felt both teams were cautious, perhaps too cautious, but BVB played a lot of long balls. That didn't make it easy for us."